Your Phoenix RCBC Bankard Mastercard is packed with pulse-racing perks & privileges to fuel up your life adventures! From generous fuel rebates and discounts, providing reliable help on the road, to free shopping gift vouchers, or free flights to your dream destination, you will enjoy all these while managing your finances and keeping your transactions secure. Earn five percent (5%) fuel rebate on your Phoenix Fuel purchases for personal consumption using your RCBC Phoenix Bankard Mastercard at participating Phoenix Fuel Stations nationwide. See the complete list of participating Phoenix stations here. You can enjoy a maximum monthly rebate of Php 500 to be computed on transactions posted per statement cycle. As a Principal cardholder, if you have Supplementary cardholder/s, the rebates earned on Phoenix fuels transactions of your supplementary cardholder/s will be credited to your account. You can redeem at a minimum and in increments of Php 200 worth of fuel rebates by simply calling RCBC Bankard Customer Service Hotline at 888-1-888. Please ensure that your card is active and in good standing at the time of redemption. The redeemed fuel rebate will be posted to your account as a deduction from the outstanding balance on statement cycle date following the date of redemption. However, please pay at least the minimum amount due reflected on the Statement of Account to avoid becoming past due. The fuel rebate cannot be exchanged for cash or redeemed as rewards voucher or AIRMILES. In instances where there are disputed or reversed fuel transactions, a “rebate reversal” will be posted and adjusted from the fuel rebate balance accordingly. Your free Php 500 worth of Phoenix Fuels as welcome gift will be credited to you, the Principal cardholder, when you use your Phoenix RCBC Bankard Mastercard for a minimum (single or accumulated) fuel spend of Php 2,000 at participating Phoenix Fuel stations nationwide within 75 days from card issuance date. Enjoy five percent (5%) discount on Phoenix Gasoline and Diesel Engine Oils (applies to 1-liter and 4-liter packs) when using your Phoenix RCBC Bankard Mastercard Credit Card at participating Phoenix Fuel Stations nationwide. In the event that your vehicle is immobilized due to accident or breakdown, you may avail of a total of three (3) free towing and emergency assistance per year through Assist and Assistance Concept. Inc (A &A Concept). Coverage is labor cost for minor roadside repair up to Php 3,000 per event, per vehicle, and crane charges up to Php 10,000 per event excluding repair cost. A&A Concept will also cover the service of changing flat tires, battery boosting, emergency fuel delivery (except fuel cost) and sending car locksmith. A&A Concept 24-hour Alarm Center Hotline numbers are (02) 822 3301 or (+63) 917 528 6180. For claims, call A&A Concept 24/7 hotline number at (02) 822 3301 or (+63) 917 528 6180. *The Free Towing & Roadside Assistance and Free Accident Insurance are privileges provided by Phoenix Petroleum Philippines Incorporated in partnership with Assist & Assistance Concept, Inc. (“A & A CONCEPT”). The Phoenix RCBC Bankard Mastercard Credit Card Free Towing and Emergency Roadside Assistance is available to Phoenix RCBC Bankard Principal Cardholders (“cardholder) whose accounts are active and in good credit standing. The Cardholder may call Assist & Assistance Concept, Inc. (“A & A CONCEPT”) 24-hour Alarm Center 24/7 at 02-822-3301 or 0917-528-6180 in the event that the vehicle named after the cardholder is immobilized due to accident or breakdown. The Cardholder may avail a total of 3 free towing and emergency assistance per year with a labor cost for minor roadside repair up to maximum of P3,000 per event per vehicle, and crane charges up to P10,000 per event excluding repair cost of the named vehicle. A & A Concept will also cover the service of changing flat tires, battery boosting, emergency fuel delivery (except fuel cost) and sending car locksmith. 1) Hotel Accommodation – The Cardholder may avail a maximum of P2,000 Hotel Accommodation one event per year. 3) Continuation of Journey– The member can request from A & A Concept for a service vehicle or transportation to bring the member or driver to his original destination. A & A Concept shall shoulder the cost of providing a service vehicle or transportation up to the amount of P2,000 for a maximum of one event per year. (d) A & A CONCEPT is unable to dispatch a tow truck vehicle within 6 hours from time of advised of breakdown. 6) Emergency Message Relay- A & A Concept shall endeavor to keep the member’s next of kin, or such person as selected by the member, informed through the most effective means available. 7) Directory Assistance- A & A Concept may provide the contact details of LTO, MMDA & PNP. The assistance services to be provided are nationwide within the Philippines except of Lanao Del Norte, Lanao Del Sur, North Cotabato, South Cotabato, Zamboanga Del Norte, Maguindanao, Sultan Kudarat, Sulu, Tawi-tawi and Basilan. a. The vehicle exceeds 3,500 kilograms in weight. b. The vehicle is more than 10 years old. d. If the Cardholder or driver who drives the vehicle is without driver’s license. e. Services rendered to the vehicle were not coordinated with A & A Concept. g. Towing from holding facility to another service center. h. If the named vehicle for towing is at “0” kilometer (breakdown must be in roadside cases only not from the residence). i. Fraudulent acts by any Cardholder or any other person entitled to the services. j. Consequential losses of any kind. k. Extraordinary phenomena such as floods, earthquakes, volcanic eruptions, unusual cyclone storms, falling astral bodies, or meteorites. l. Terrorism, mutinies, or riots. m. Actions by the armed forces, or security forces, or other organizations. o. Deliberate acts of the Beneficiary. q.Illnesses or pathological states produced by voluntary consumption of alcohol, drugs, toxic substances, narcotics, or medicines acquired without medical prescription. r.. Suicide or attempted suicide or mental illness. Cardholder calls A&A Concept Alarm Center for assistance. 3.A&A Concept confirms Cardholder’s call and acknowledges use of non-accredited provider. A&A Concept will provide Case File Number to the Cardholder that will serve as a reference number. Cardholder obtains the Official Receipt for roadside assistance rendered by the Service Provider. 4) Case File No. / Reference No. Note: Cardholder is given a maximum of 60 days from the date of event to submit the requirements stated above, after which request for reimbursement will no longer be entertained. A&A Concept releases the reimbursement 15 days from receipt of Request for Reimbursement and complete requirements. Payment will be via check under the Cardholder’s name. For provincial cases, reimbursement may be deposited to the Cardholder’s bank account. War, invasion, act of foreign enemy, hostilities (whether war be declared or not)- civil war, rebellion, revolution, insurrection, martial law, military or usurped power or attempts at usurpation of power. Suicide- the act of killing yourself intentionally, or a person who has done this Attempted Suicide- is an attempt where a person tries to commit suicide but survives. Poison or any poisonous substance accidentally or otherwise taken, administered, absorbed or inhaled during addiction and the like. Earthquake, Volcanic eruption or Tidal Wave. Any weapon or instrument employing atomic fission, radioactive force, whether in time of peace or war. Performing or attempting the performance of an unlawful act. Engaging or performing any exhaustively physical, extraneous or hazardous activities. Death or disablement or bodily injury while riding or operating on any motorized two-wheel vehicle. Death or disablement or bodily injury occasioned by or happening through any form of illness, diseases, disabilities. Death, disablement or bodily injury whilst attempting to do or doing an illegal activities or operation. Persons below the age of 18 or over 65 years. ➢ Cardholder or his beneficiary to call A&A Concept 24/7 Hotline Number 02-822-3301 or 0917-528-6180 to process their claim request. ➢ Submit requirements to A&A Concept . ➢ A&A Concept to communicate to Insurance Provider for Claims Scrutiny. The Phoenix RCBC Bankard Mastercard Program (“Program”) is open to all Phoenix RCBC Bankard Mastercard Principal Cardholders (“Cardholder”) whose account is open, active, and in good credit standing, as determined by the Bank in its sole discretion, and who use their Phoenix RCBC Bankard Mastercard Credit Card at participating Phoenix Fuel stations. The Cardholder is entitled to participate in the Program on the date of commencement of the Program or the date when the Card is activated, whichever is later. Five percent (5%) fuel rebate on all Phoenix Fuel purchases for personal consumption using his/her Phoenix RCBC Bankard Mastercard at participating Phoenix Fuel Stations nationwide. Five percent (5%) discount on Phoenix Gasoline and Diesel Engine Oils (applies to 1-liter and 4-liter packs) when using Phoenix RCBC Bankard Mastercard at participating Phoenix Fuel Stations nationwide. Free Php 500 worth of Phoenix Fuels as a welcome gift upon meeting the minimum (single or accumulated) fuel spend requirement of Php 2,000 at participating Phoenix Fuel stations within 60 days from card issuance date. The Php 500 will be credited to the Cardholder’s account. The Cardholder will enjoy a maximum monthly rebate of Php 500 to be computed on transactions posted per statement cycle. Rebates apply on a per account basis. If the Cardholder has Supplementary cardholder/s, the rebates earned on Phoenix fuels transactions of the supplementary cardholder/s will be credited to the Cardholder’s account. Phoenix Petroleum Philippines Incorporated and RCBC Bankard reserve the right to exclude any single or set of transactions from the computation of the rebate if the transaction/s was/were entered into in violation of this provision. The Cardholder can redeem at a minimum and in increments of Php 200 worth of fuel rebates by calling the RCBC Bankard Customer Service Hotline at 888-1-888. Only accounts that are active and in good standing at the time of redemption shall be allowed to redeem. The redeemed fuel rebate shall be posted to the account as a deduction from the outstanding balance on the statement cycle date following the date of redemption. Notwithstanding the amount of fuel rebate subsequently posted to the account, the Cardholder must still pay at least the minimum amount due reflected on the Statement of Account to avoid becoming past due. Where fuel rebates have been credited to the account and/or used before the purchase is charged back, the Cardholder’s account will be debited for the credited fuel rebates. The fuel rebate cannot be exchanged for cash or redeemed as rewards voucher or Airmiles. Fraud and abuse relating to the earning or redemption of fuel rebates may result in forfeiture of fuel rebates and termination of the Cardholder’s account. Any remaining fuel rebates including those still to be applied to the Cardholder’s account shall immediately cease to be valid upon cancellation of the Phoenix RCBC Bankard Mastercard or conversion to another RCBC Bankard credit card brand. No refund, extension or compensation shall be given to the Cardholder upon cancellation. The fuel rebate rate and the basis of calculation of fuel rebates are subject to change at RCBC Bankard’s sole discretion. The decision of RCBC Bankard on all matters relating to the fuel rebates shall be final. 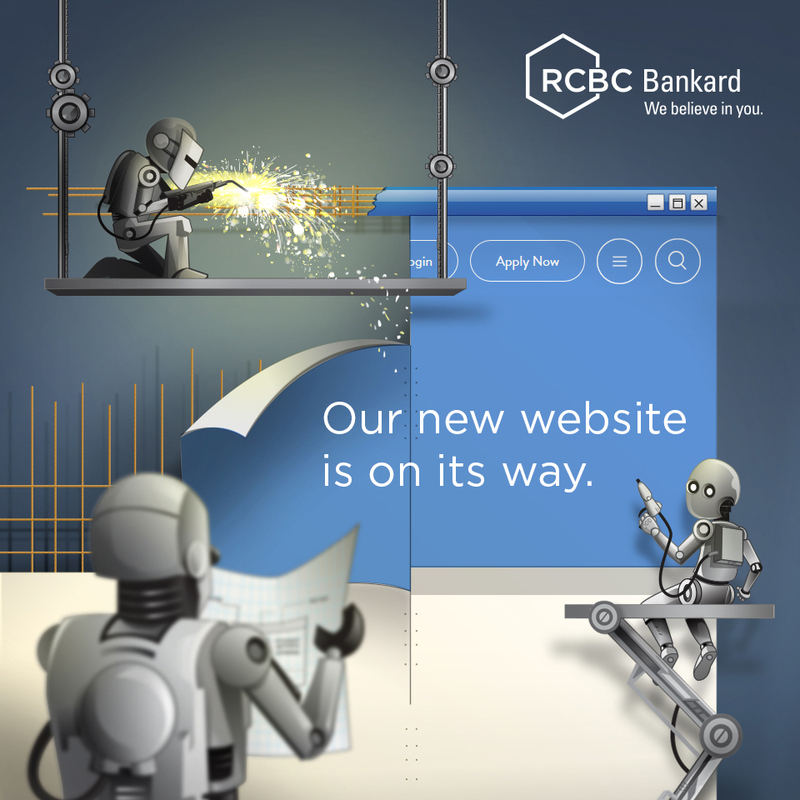 RCBC Bankard shall not be liable to the Cardholder for any damages or penalty arising from or in connection with the fuel rebate program. The free Php 500 worth of Phoenix Fuels as Welcome Gift will be credited to the Cardholder’s account if he is able to meet the minimum required fuel spend (single or accumulated) of Php 2,000 using his Phoenix RCBC Bankard Mastercard at participating Phoenix Fuel stations within 75 days from card issuance date. The Cardholder will also earn Rewards Points on their Phoenix RCBC Bankard Mastercard Credit Card for all their retail transactions, earning one (1) point for every Php 125.00 spend and Php 250 for every utility bills payment. Decisions made by Phoenix Petroleum Philippines Incorporated and RCBC Bankard, in accordance with these Terms and Conditions as well as with applicable rules and regulations, on all matters relating to this Program will be at their absolute discretion and will be final and binding on all participants.